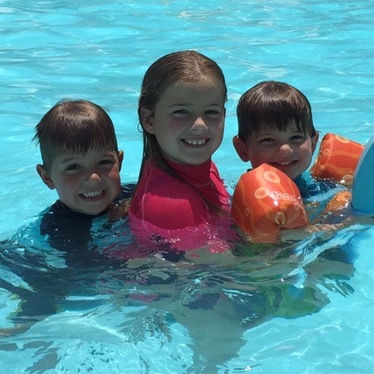 Today, in addition to celebrating the many beautiful freedoms I enjoy as a US citizen, I also want to celebrate the independence my three children (ages nine, five, and three) are gaining. They’re growing up fast, y’all. When America was born, our fledgling nation declared its independence from England. We started our own thing, made our own mark on the world. As we parents grow our tiny humans into card-carrying adults, our kids are preparing to take on the world themselves. When my three children were born, they relied on us completely for food, water, sleep, comfort, and changing the channel for them on the TV. 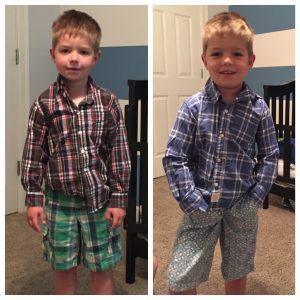 Lately, I’ve noticed that, though my parenting struggles are real, they have gradually evolved into new, bigger-kid struggles. 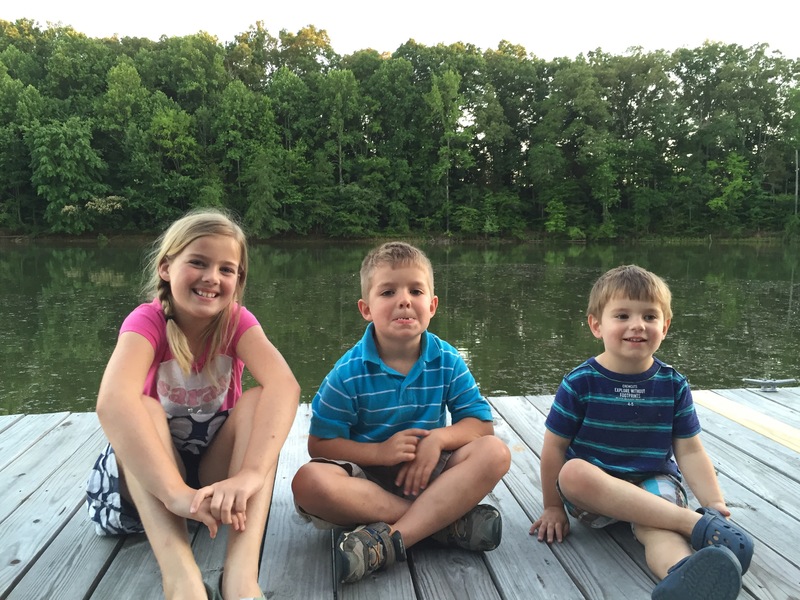 Many of the most difficult parts of having little kids are slowly falling away. 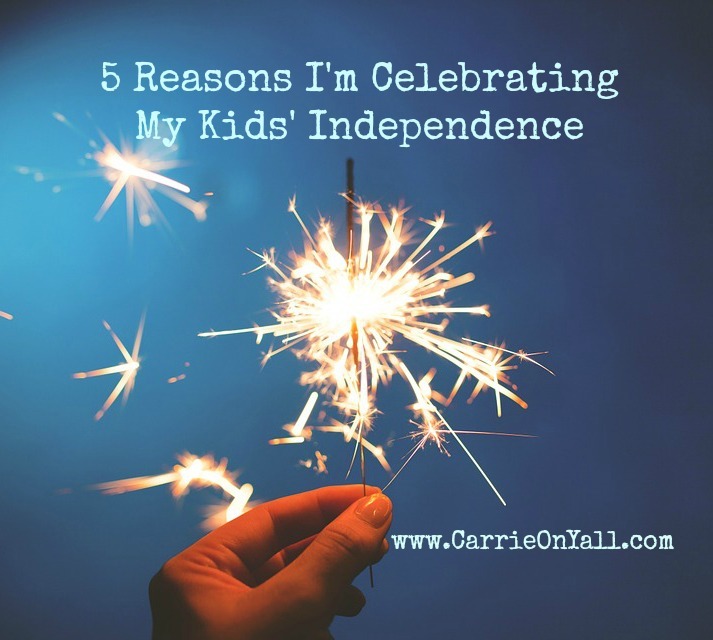 Here are 5 reasons I’m celebrating my kids’ independence. I’m no longer changing diapers. That’s right, folks. Pampers and I have decided to go our separate ways after our long-term, very deeply committed nine-year relationship. Nighttime pull-ups and I are on-again/off-again, but I’m okay with that. Furthermore, everyone wipes their own butts, thankyouverymuch. Our mom is in a deck chair. When mama’s happy, everybody’s happy! At the pool, I sat in a deck chair for fifteen minutes. This was a big step for me, y’all. Two of my three kids are good swimmers, and while watching my three-year-old play in the super shallow section of our community pool, I glimpsed my future…a future in which my children do not constantly need me in the pool, and I can sit in a lounge chair and read a book. This is the dream. We buckled ourselves into Daddy’s tiny car! And we never fight when we sit three kids across the seat. Like, ever. My kids buckle themselves into my car. 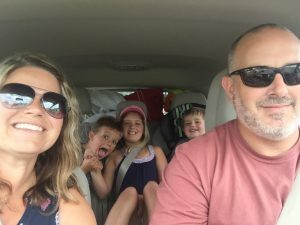 No longer do I struggle with buckles, straps, food of indeterminate origin stuck in the seats, and my kids screaming like they’ve been kidnapped as I try to stuff them into my SUV. While it’s no use detailing my vehicle at this point, I’m enjoying every second of yelling, “We’re late! Get in the car!” and shaving precious time from our exit strategy as the kids secure their own seatbelts. The kids can make their own food. Granted, they aren’t on-track to star on the Food Network, but when they ask for snacks and drinks, I can now give permission, and they retrieve it themselves. This incredible change is a far cry from making 78 snacks per day and/or bodily placing myself in front of the pantry to stave off the hungry natives who just ate their last snack 18 seconds ago. They dress themselves. I’m not saying it’s pretty. We aren’t burning up the runways at Fashion Week. However, I’m usually okay with whatever the kids choose to wear. Sometimes the pattern combinations are a bit out there, and we might have on two different shoes and socks on any given day, but I’m celebrating their freedom of self-expression (and the fact I didn’t have to dress them). Folks, here we have stripes and plaid together. The striped shirt is inside out AND backwards. And those shorts? Backwards, too. Look out Kriss Kross from 1995. 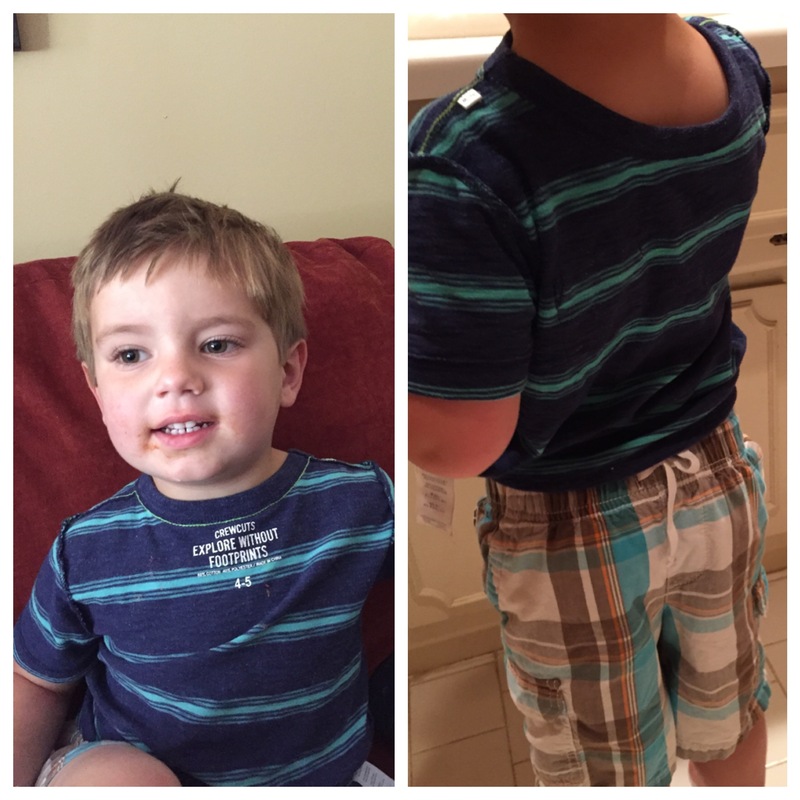 Did I mention that we like to mix patterns? New York Fashion Week sponsors have been calling all week. I know there are more important milestones down the road. Someday, I will celebrate them driving, getting their first jobs, graduating from high school, going off to college, and all the joys and frustrations that come with adulthood. If I’m honest with myself, I know that once sanity returns to our house, I will miss these days. Sometimes, I force the kids to sit in my lap and cuddle just to feel those sweet moments return, however brief. So, as our country celebrates its birthday, I will celebrate my children gaining their own independence as they grow. The baby fat is giving way to longer, leaner limbs, and every day I watch as they mold and shape their opinions on the world. 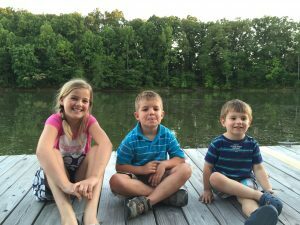 I’ll always be their mom, and they’ll always be my kids. But today, I’m celebrating their growth. Happy Gaining Independence, kids! Thanks so much for reading, y’all! I hope you’ll subscribe if you like what you see, and you can also follow me on Facebook, Twitter, or Instagram.